What are you looking for in a neighborhood? For some homebuyers, nightlife and options for things to do are as important as the features of the home. 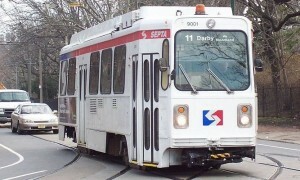 Check out these Philly neighborhoods, which offer great homes and great activities. Although everyone relishes the occasional quiet night spent at home, some people love spending their evenings out. If you find yourself going out more often than not, finding a home in a Philly neighborhood that offers plenty of nightlife options might be your best bet. Where to look depends on what you’re after. Philadelphia nightlife in some neighborhoods focuses on live music, while food and drink is the biggest draw in other parts of town. If you’re about to move to Philly, check out the nightlife options in the following neighborhoods. Sometimes called the loft district, the Callowhill neighborhood has an industrial feel that’s well reflected in the music venues scattered throughout it. A few of the Philadelphia nightlife options in the area are located in actual converted industrial spaces. For example, the Electric Factory was at one point in time actually an electric factory. Underground Arts, a concert and theater venue, is housed in the basement of what was once a stationery factory. One of the big draws to the area is Union Transfer, another venue and bar. Like Underground Arts and the Electric Factory, the building that houses Union Transfer was once something else — in this case, a Spaghetti Warehouse restaurant. 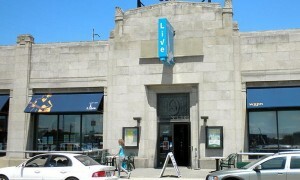 Today, the building plays host to a number of well known and up-and-coming indie and alternative rock acts. While Callowhill is known for its somewhat edgy vibe and live music options, East Passyunk, in South Philly, has more of a quirky atmosphere. 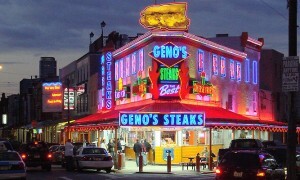 The avenue that gives the area its name, Passyunk, is dotted with an eclectic mix of restaurants, bars, and shops. Boutiques that line the avenue include Era Atomica, a store specializing in mid-century modern furniture and housewares; Occasionette, which sells gifts with a Philly flair; and Nice Things Handmade, which offers cute, handmade items. East Passyunk also offers a culinary tour of the world. The avenue has been nationally recognized for its great selection of restaurants. Options along the strip include Scandinavian cuisine at Noord; Mexican and Tex-Mex fare at Cantina Los Caballitos and Adobe Cafe; sushi at Izumi; and Italian at Le Virtu, Marra’s, and Paradiso. Located north and to the east of Callowhill, Northern Liberties is another part of Philadelphia that’s become known more and more for its nightlife options in recent years. Like Callowhill, the area has a bit of a post-industrial vibe. One of the major developments in the area, the Piazza at Schmidt’s, is located on the site of a former beer brewery. While the Piazza does offer apartments for rent, what it’s most known for is the selection of restaurants that make up the ground level and that encircle a large outdoor plaza. Options include PYT, which is known for its alcoholic milkshakes and over-the-top burgers; El Camino Real, a barbecue and Tex-Mex joint; Emmanuelle, an artisan cocktail bar hidden at the back of the Piazza. The Piazza isn’t the only thing Northern Liberties has going for it. Plenty of restaurants and bars line North 2nd Street, including Cantina Dos Segundos (Cantina Los Caballitos’ northern sibling); North Bowl, a bowling alley and bar; and Standard Tap, a pub that focuses on local ingredients and craft beers. Whether the perfect night out for you involves checking out a favorite band, trying a new cocktail, or digging into some tasty food, Philadelphia neighborhoods feature plenty of options. Having things to do in your neighborhood is an important part of making the most of your home, so check out the nightlife options before you move in.